​In 2014 Art in Public Places (APP), the City of Jacksonville, the Downtown Investment Authority, and the Office of Public Parking posted a national Call to Artists for a multi-site public art commission located on the Water Street Parking Garage. 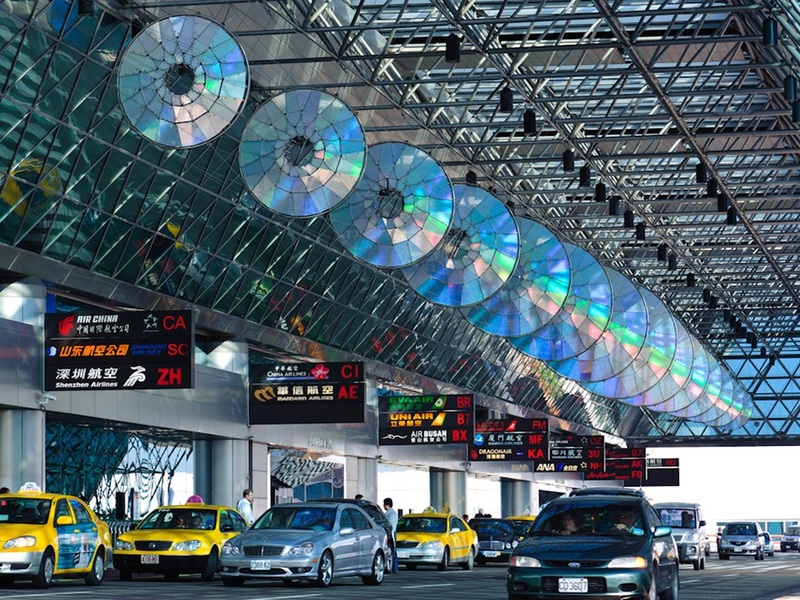 It is desired to have two and three dimensional artworks affixed to the building’s exterior and surrounding property. 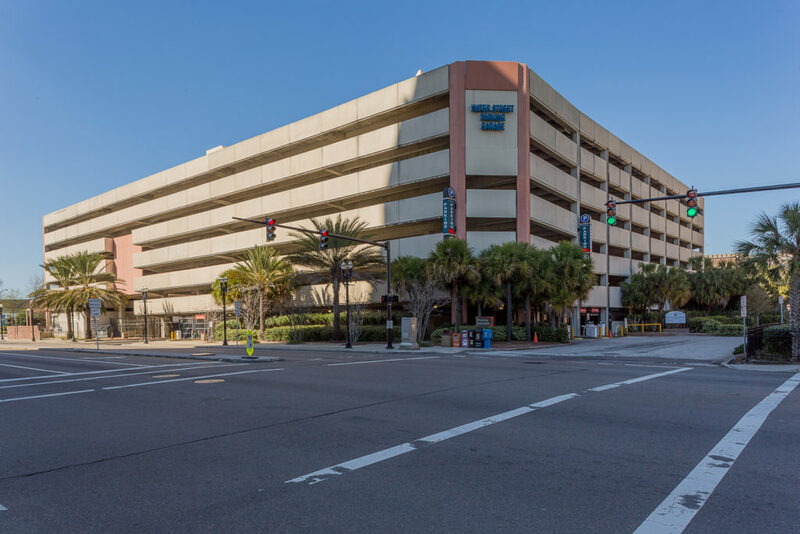 Artworks will improve the parking facility by making it visually appealing, distinctive, and welcoming to patrons who utilize the parking garage, businesses adjacent to the parking garage, and visitors of Jacksonville. 177 artists from 35 states responded to the Call to Artists. 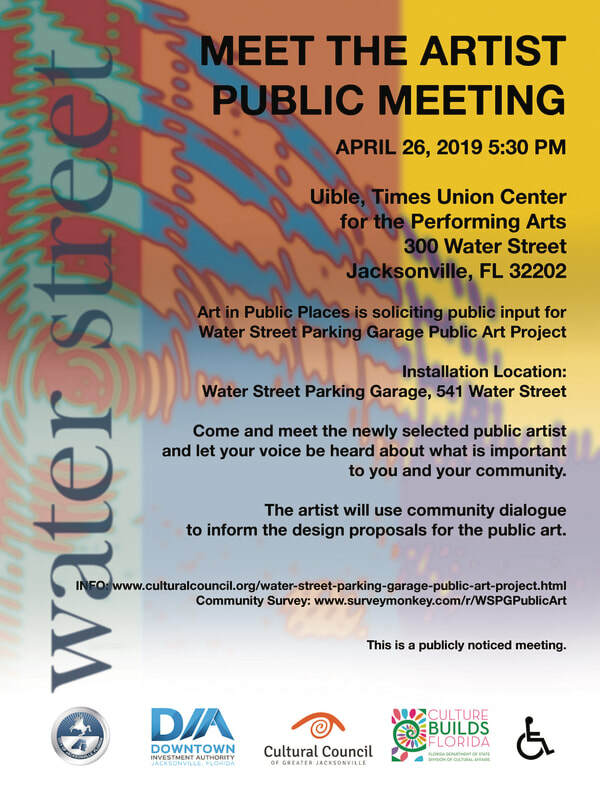 An Art Selection Panel, consisting of site representatives, art and design professionals, and City officials used a set of criteria that included artistic and design excellence, sustainability, and demonstrated experience to jury each application. Based on the aforementioned criteria, the Art Selection Panel narrowed candidates down to three semi-finalists: Haddad Drugan, LLC (Seattle, WA), David Griggs (Denver, CO), and Ray King (Philadelphia, PA). 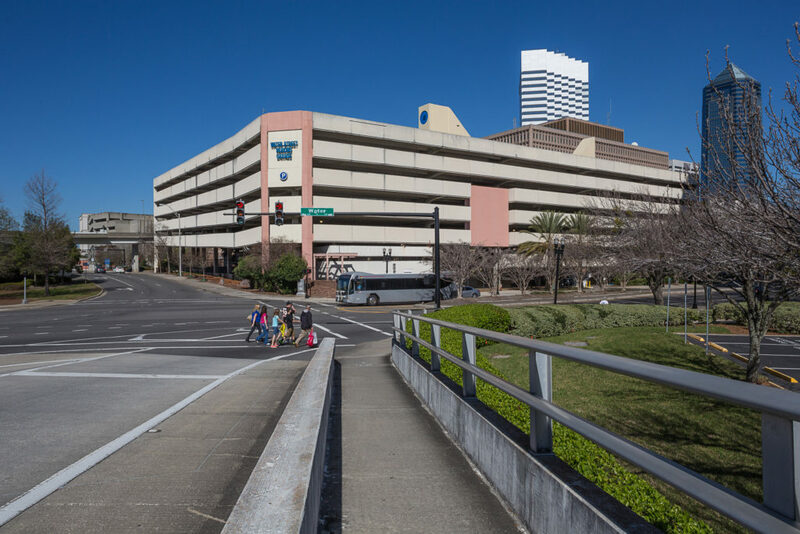 To inform their concept design proposals, the semi-finalists made site visits to Jacksonville and will study responses from the Water Street Parking Garage Public Art Stakeholder Questionnaires. The contract for commission will be awarded to one artist in March 2019. Work will commence in April 2019 after the contract is executed. Artwork will be installed in September 2020 with a dedication ceremony tentatively scheduled for November 2020. ​Laura Haddad and Tom Drugan’s collaboration as an artist team began in 2001. The team has designed and completed more than 20 innovative public art commissions throughout the United States. Haddad Drugan, LLC operate at the intersections of art, architecture, landscape, and theater. The duo specialize in creating conceptually driven site-specific art that is often integrated into large-scale infrastructure projects. One of their most popular large-scale artworks is “Bayview Rise” (2014) in San Francisco. 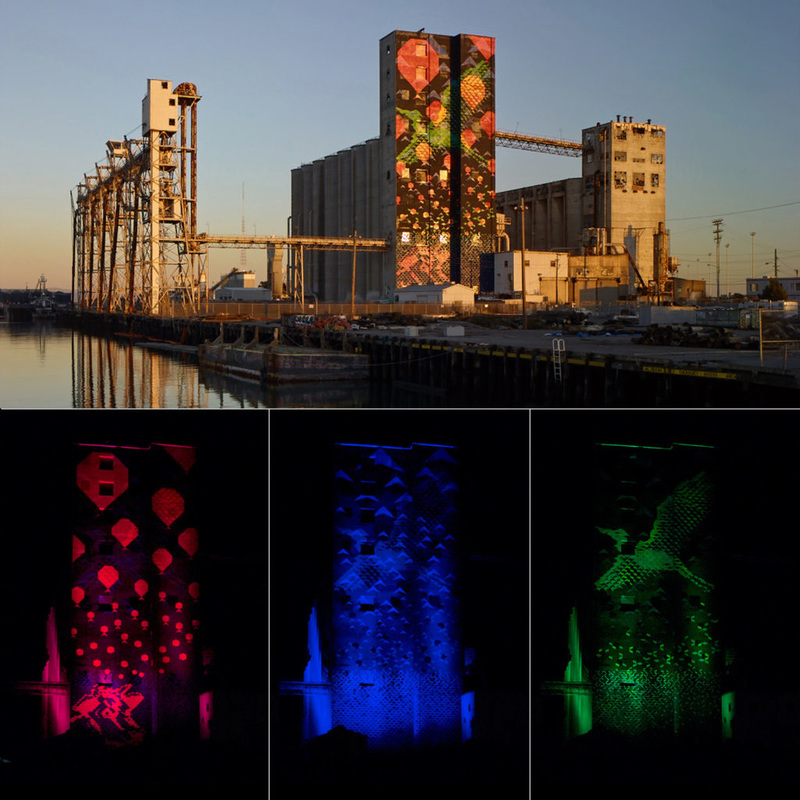 David Griggs has completed over 60 public art commissions throughout the United States. 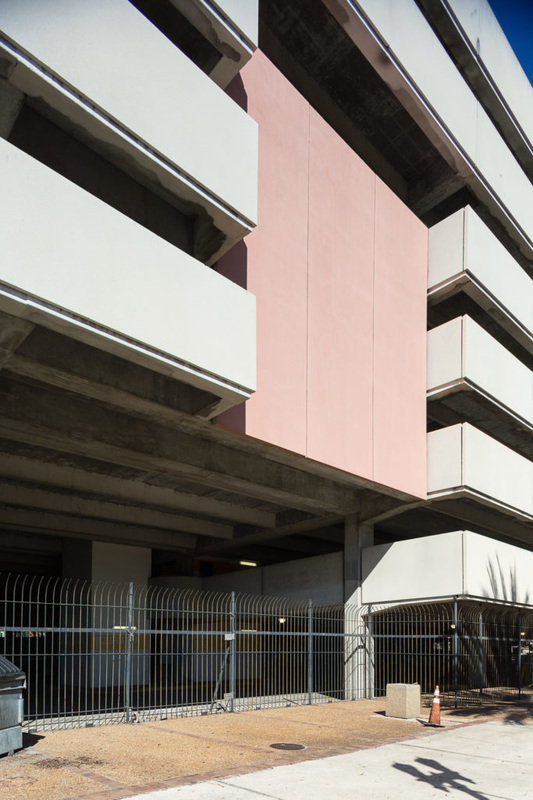 As a site-integrated designer, Grigg’s work is specific to the architecture and other formal elements of the site, or responsive to other factors, whether they are social, cultural, environmental, or historical. 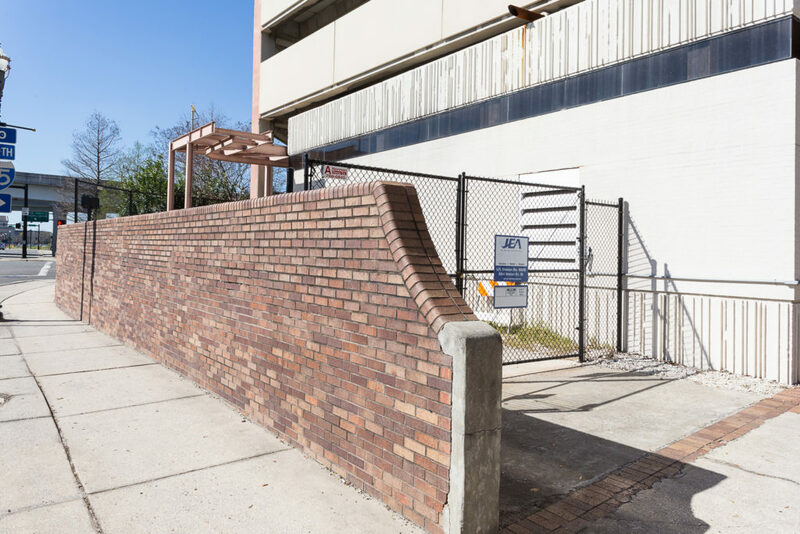 Griggs involvement in the arts doesn’t end at designing and building public art. He is also highly involved with public art planning, strategizing, and advocacy. He has participated in over 15 master planning and design team projects. 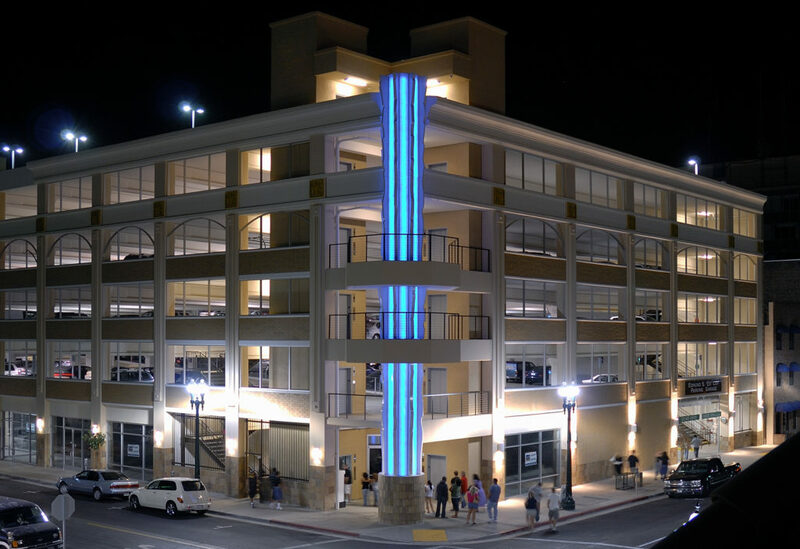 In 2006 the City of Stockton, California commissioned Griggs for a public art project integrated in to a City parking structure. The artwork is titled “Lightstalk” (2006). Ray King has been a working artist since the early 1970s, and has exhibited his work internationally since 1976. King uses light as it interacts with glass and optics as an art medium. By creating dynamic interactions with the sun and refracting light into colors, rainbow like emanations shift and change as the viewer moves or the light source changes. King has designed and built commissioned artworks throughout the World. All artworks are site-specific and have been inspired by the surrounding space and landscape to create a unique sense of place and identity. ​In 2012 King was commissioned by Utah State University’s USTAR Innovation Center to create “Split Spiral” (2012). ​Visit each artist’s website for a comprehensive representation of their artworks.